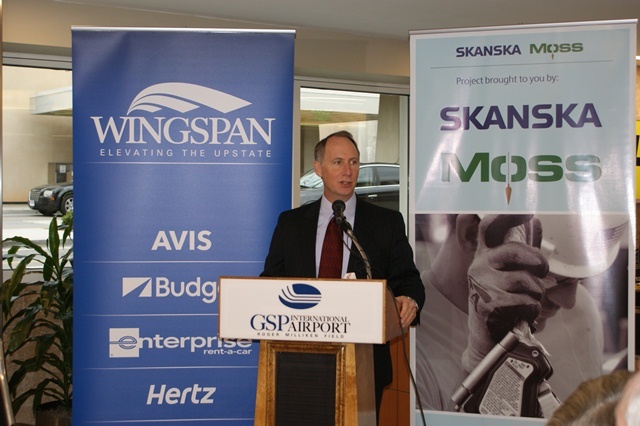 One of WINGSPAN’S core goals is to increase capacity and efficiency for GSP customers. 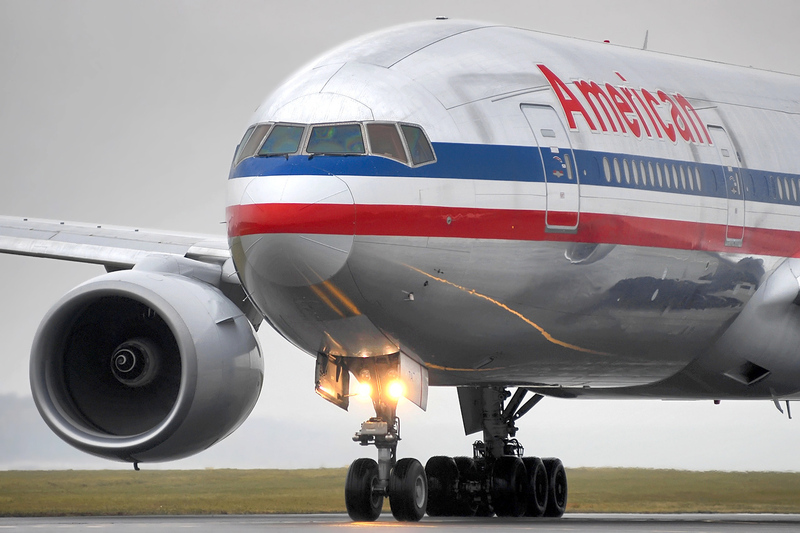 With WINGSPAN renovations coming to an end soon, we are already starting to see an increase in capacity with the addition of three American Airline flights between Greenville-Spartanburg International Airport and Chicago’s O’Hare International Airport. 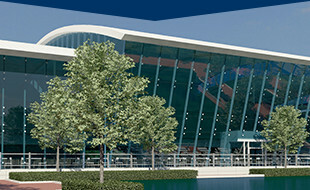 Beginning July 5, the airline will depart GSP for non-stop service to Chicago at 8:10 a.m., 10:05 a.m. and 6:20 p.m. Currently, United Airlines provides six non-stop flights from GSP to O’Hare at various times and days. The added routes to Chicago brings the number of daily departures from GSP to around 50. We are excited about this airline expansion and future growth at GSP! 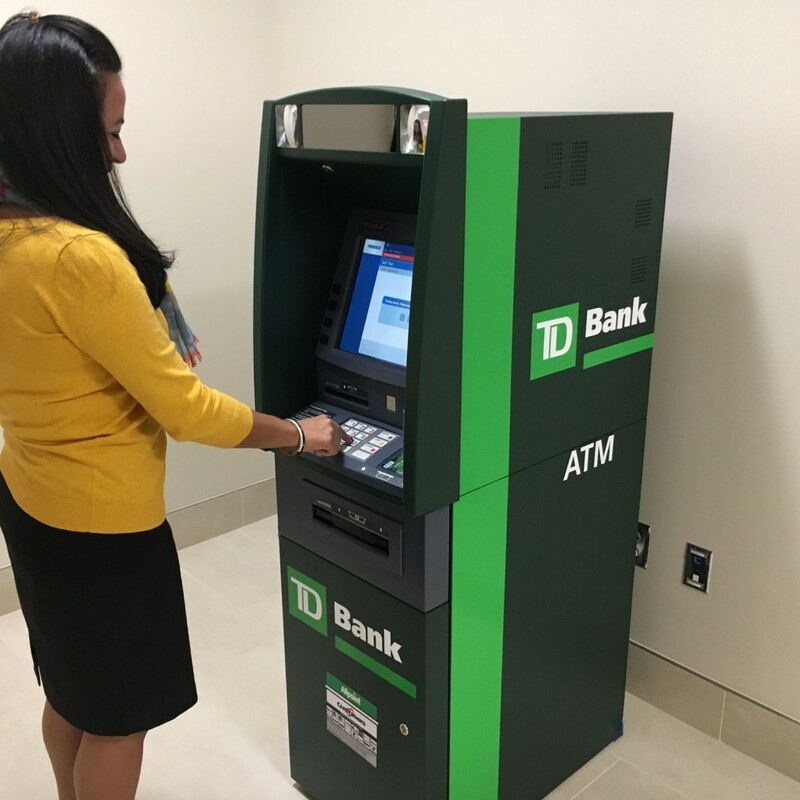 To improve and become one of the most operationally capable and efficient airports of its size, GSP will add three TD Bank ATM’s for our traveler’s convenience. One ATM will be located near baggage claim and the two remaining ATMs will be in Concourse A and B, near the Best Buy vending machines. Once departing passengers have cleared the new centralized TSA Screening Checkpoint, they may access the appropriate concourse, A or B by turning left/South for Concourse A or right/North for Concourse B. Our goal in adding in the new ATM machines is to improve the experience of our GSP family. As a part of WINGSPAN renovations, seven artists were chosen to create new artwork for the airport. 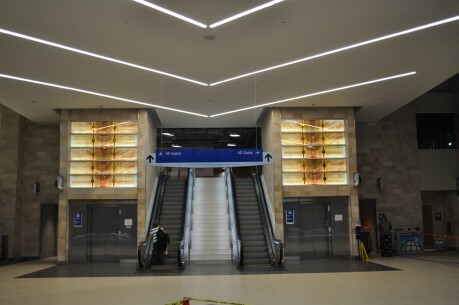 The first of those pieces was installed on July 6 in the B concourse. 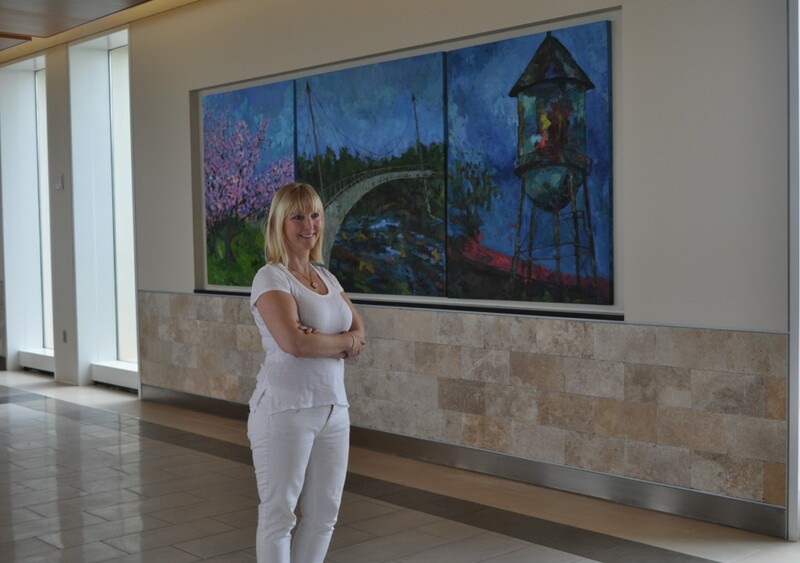 The oil paintings were done by local artist Melissa Anderson who chose to create scenes from around the Upstate. Melissa didn’t start off as an artist. She left a career as a lawyer to pursue her passion and now her art can be found throughout the state and country. Through self-directed training, Melissa used the discipline of her law practice and applied it to her artistic education. Today, her work is displayed all over Greenville in numerous private and public collections including: The Greenville Art Museum, The City of Greenville, County Bank, McCall Hospice House, the Washington office of Congressman Trey Gowdy, and The Cascades. While she lives and works in Greenville, her current show “Elegance of Native Soul” is hanging in Mitchell Hill located in downtown Charleston. Learn more about her background and work in this recent interview, or visit her website! The development of WINGSPAN is rapidly growing and coming to an end, and in recent years the program has been surpassing its goals. Despite all these technological advances, GSP has continuously kept long-term sustainability in mind and truly strives to put the “Green” back into Greenville. They have been environmentally conscious in more ways than one throughout the renovation process. One of the first phases of the North Wing construction started with the closing of the Short Term Parking Lot. In order to create more space, they creatively found a way to put its natural resources back into the development process. While it would have been easier to send the trees to a landfill, WINGSPAN had to make the most of the roots GSP was built on. The 26 historic trees that stood in the lot were processed into lumber and repurposed in architectural woodwork renovation designs. 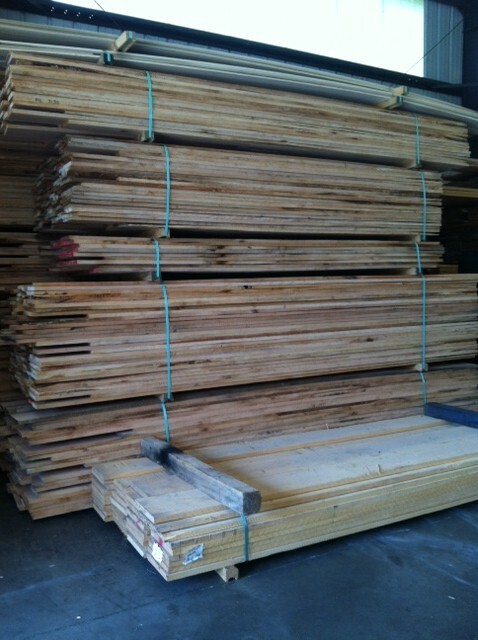 Thanks to the Upstate’s local businesses and lumber companies, each step of the process was energy efficient and no remaining parts of the trees were wasted. To learn more details about the harvesting process of GSP’s historical trees, check out a previous post! 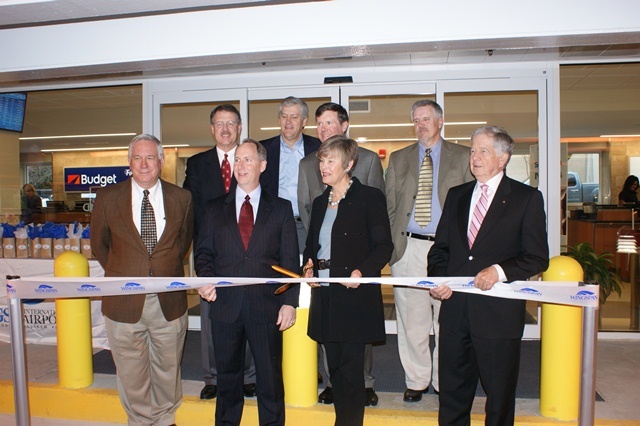 In July 2012, the WINGSPAN program launched to improve various aspects of the Greenville-Spartanburg International Airport. This program was set to be completed in four phases over the span of five years. Now that the WINGSPAN program is nearing completion, over the next month, we will highlight the phases of development and how changes will positively impact the travelers of Greenville-Spartanburg International Airport. Today’s post will highlight some details about Phase Two. Phase Two focused on the construction of the Grand Hall. 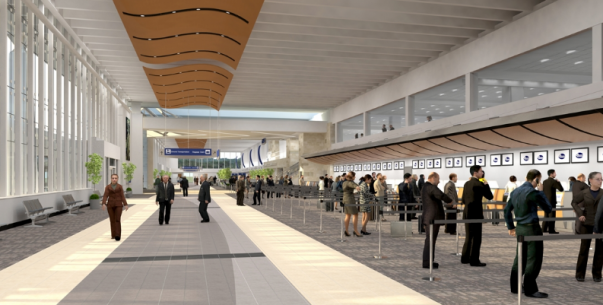 This design provided new food, beverage and retail concessions areas for travelers. 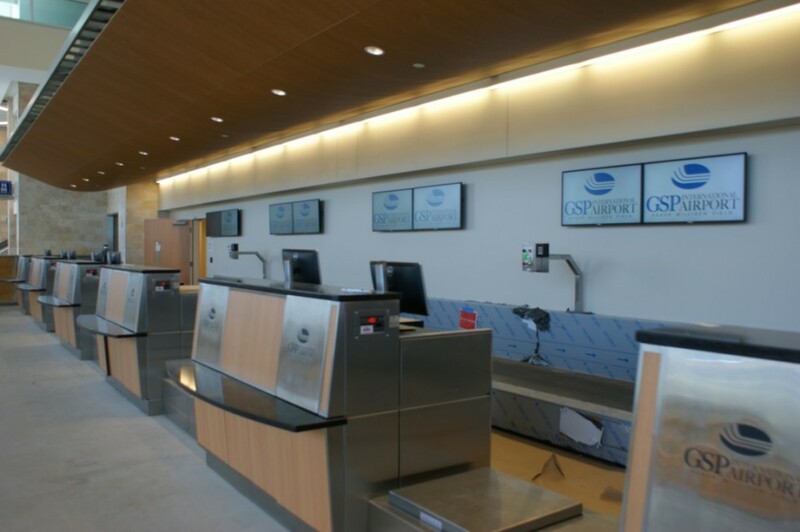 Renovation of the ticket lobby, as well as updated customer service booths, gave the area a new feel. New baggage screening equipment and facilities have also been incorporated to increase security. How do you think it compares? Let us know. Check back each week for updates on the WINGSPAN developments and our #FlyerFactFriday!